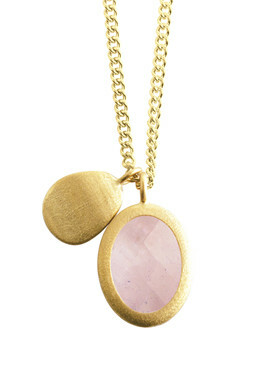 Classy and modern necklace in a mat gold toned finish with a rose-coloured facet cut crystal-pendant and metal detail. 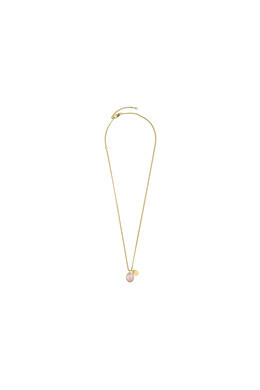 Chain length is 40 cm + extension. Made with a lobster closure.